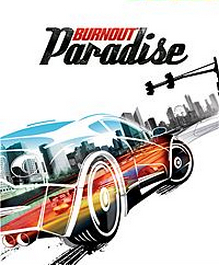 The Games on Demand version of Burnout Paradise for Xbox 360 and Xbox One backward compatibility was last confirmed available on October 24th, 2017. It was likely delisted around this time on Xbox and PlayStation 3. The EA Origin and Steam versions of the game remain available to download. The game’s Steam page was last updated in October of 2017 but was not removed from sale. The game was most likely delisted due to its licensed content, namely “Paradise City” by Guns N’ Roses, though the game featured other licensed music as well as in-game advertising for retailers and products. The 2018 release of Burnout Paradise Remastered may also have led to the game’s delisting as incentive to buy the new updated title. As of this writing it has yet to be seen what licensed content remains in the Remastered edition but any omissions there could indicate a reason for the original game’s delisting. “Race, jump and smash through the streets of Paradise City in muscle cars, exotics, hot rods and even supercharged SUVs designed from the ground up to look beautiful whether they’re brand new or torn to pieces! Earn your Burnout Driver’s license by competing in over 100+ events including Races, Stunt Run, Road Rages and Marked Man.